· Induces upregulation of the pluripotency network genes (Klf4, Klf2, Nanog, Oct4, Myc, Sox2) and epigenetic-associated proteins (Dnmt3a, Mbd3) in mouse ES cells, and inhibits retinoic acid-induced differentiation (Adamo et al. ; Shi et al). · Promotes differentiation and mineralization of MC3T3-E1 osteoblastic cells (Kanazawa et al.). · Inhibits proliferation and promotes osteogenic differentiation, while inhibiting adipogenic differentiation, of human amnion-derived mesenchymal stem cells (MSCs) and rabbit bone marrow-derived MSCs (Wu et al.). 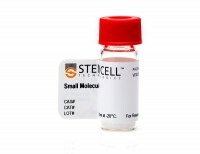 · Suppresses proliferation and induces astroglial differentiation in neural stem cells (NSCs) and in the immortalized NSC line C17.2 (C17.2-NSC; Zang et al. 2008, 2009). AICAR sustains J1 mouse embryonic stem cell self-renewal and pluripotency by regulating transcription factor and epigenetic modulator expression. BACKGROUND/AIMS [corrected] Embryonic stem cells (ES cells) have the capacity to propagate indefinitely, maintain pluripotency, and differentiate into any cell type under defined conditions. As a result, they are considered to be the best model system for research into early embryonic development. AICA ribonucleotide (AICAR) is an activator of AMP-activated protein kinase (AMPK) that is thought to affect ES cell function, but its role in ES cell fate decision is unclear. METHODS In this study, we performed microarray analysis to investigate AICAR downstream targets and further understand its effect on ES cells. RESULTS Our microarray data demonstrated that AICAR can significantly up-regulate pluripotency-associated genes and down-regulate differentiation-associated transcription factors. Although AICAR cannot maintain ES cell identity without LIF, it can antagonize the action of RA-induced differentiation. 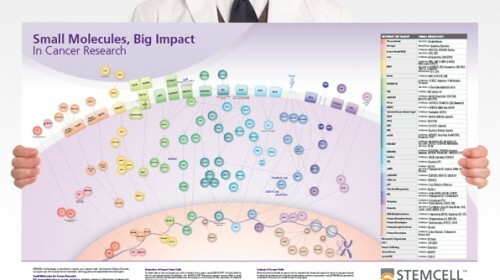 Using those differentially expressed genes identified, we performed gene ontology (GO) and Kyoto Encyclopedia of Genes and Genomes (KEGG) pathway analysis with the Database for Annotation, Visualization and Integrated Discovery (DAVID) online system. AICAR was not only shown to influence the AMPK pathway, but also act on other signaling pathways such as BMP, MAPK and TGF-β, to maintain the stemness of J1 ES cells. Furthermore, AICAR modulated ES cell epigenetic modification by altering the expression of epigenetic-associated proteins, including Dnmt3a, Dnmt3b, Smarca2, Mbd3, and Arid1a, or through regulating the transcription of long intervening non-coding RNA (lincRNA). CONCLUSION Taken together, our work suggests that AICAR is capable of maintaining ES cell self-renewal and pluripotency, which could be useful in future medical treatment. 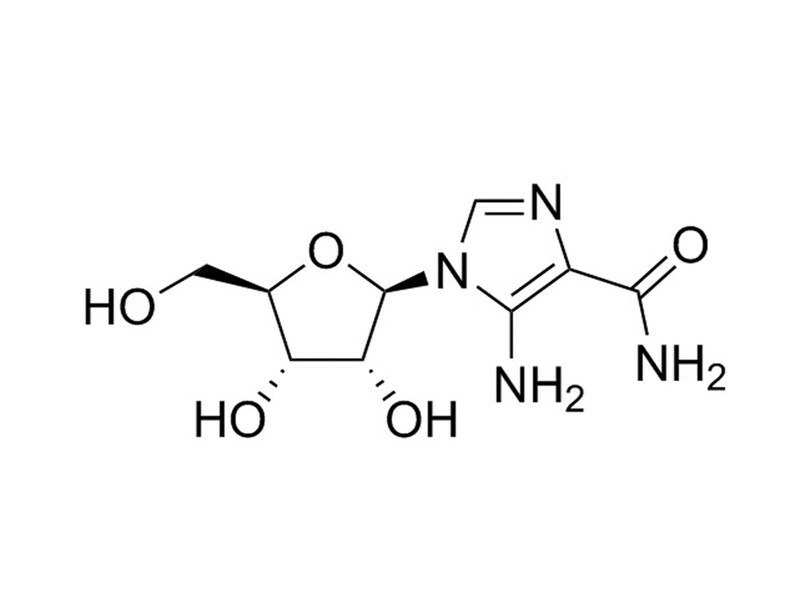 5-Aminoimidazole-4-carboxyamide ribonucleoside induces G(1)/S arrest and Nanog downregulation via p53 and enhances erythroid differentiation. Molecular mechanisms of how energy metabolism affects embryonic stem cell (ESC) pluripotency remain unclear. AMP-activated protein kinase (AMPK), a key regulator for controlling energy metabolism, is activated in response to ATP-exhausting stress. We investigated whether cellular energy homeostasis is associated with maintenance of self-renewal and pluripotency in mouse ESCs (mESCs) by using 5-aminoimidazole-4-carboxyamide ribonucleoside (AICAR) as an activator of AMPK. 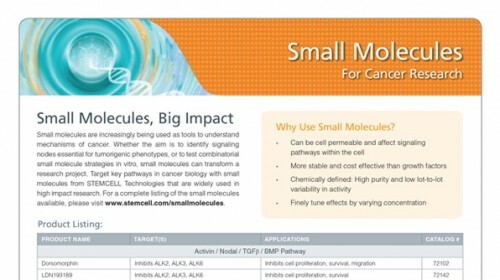 We demonstrate that AICAR treatment activates the p53/p21 pathway and markedly inhibits proliferation of R1 mESCs by inducing G(1) /S-phase cell cycle arrest, without influencing apoptosis. Treatment with AICAR also significantly reduces pluripotent stem cell markers, Nanog and stage-specific embryonic antigen-1, in the presence of leukemia inhibitory factor, without affecting expression of Oct4. H9 human ESCs also responded to AICAR with induction of p53 activation and repression of Nanog expression. AICAR reduced Nanog mRNA levels in mESCs transiently, an effect not due to expression of miR-134 which can suppress Nanog expression. AICAR induced Nanog degradation, an effect inhibited by MG132, a proteasome inhibitor. Although AICAR reduced embryoid body formation from mESCs, it increased expression levels of erythroid cell lineage markers (Ter119, GATA1, Klf1, Hbb-b, and Hbb-bh1). Although erythroid differentiation was enhanced by AICAR, endothelial lineage populations were remarkably reduced in AICAR-treated cells. Our results suggest that energy metabolism regulated by AMPK activity may control the balance of self-renewal and differentiation of ESCs. 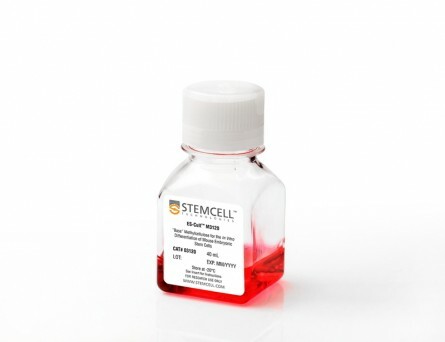 AICAR, a small chemical molecule, primes osteogenic differentiation of adult mesenchymal stem cells. The chemical approach to controlling stem cell fates is emerging as a powerful tool, holding great promise in tissue engineering and regenerative medicine. 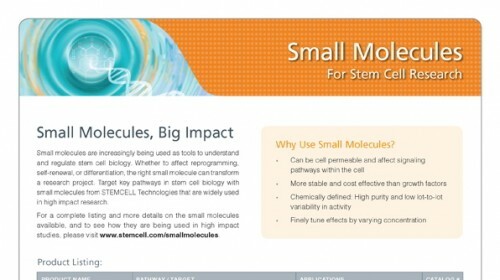 Various small molecules have been demonstrated capable of modulating stem cell differentiation. In this paper, we studied the effects of 5-aminoimidazole-4-carboxamide-1-ß-riboside (AICAR), an activator of AMP-activated protein kinase (AMPK), on mesenchymal stem cells (MSCs). AICAR at high concentrations (1.0-2.0 mM) significantly inhibited proliferation of both human amnion-derived MSCs (hAMSCs) and rabbit bone marrow-derived MSCs (BM-MSCs). 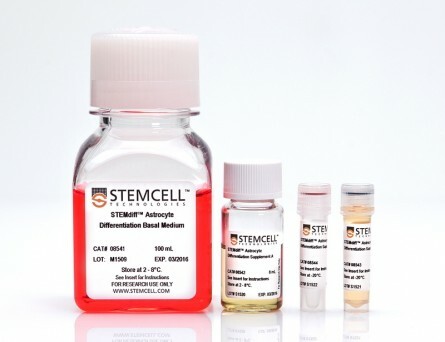 Most importantly, AICAR efficiently promoted the osteogenic differentiation of hAMSCs and BM-MSCs in both growth medium and osteogenic medium. However, Metformin, another AMPK activator, showed no such effects. Meanwhile, AICAR significantly inhibited adipogenic differentiation of hAMSCs and BM-MSCs. Our data suggests that AICAR represents a potent molecule, which can be applied in bone tissue regeneration. AMP-activated protein kinase is involved in neural stem cell growth suppression and cell cycle arrest by 5-aminoimidazole-4-carboxamide-1-beta-D-ribofuranoside and glucose deprivation by down-regulating phospho-retinoblastoma protein and cyclin D.
The fate of neural stem cells (NSCs), including their proliferation, differentiation, survival, and death, is regulated by multiple intrinsic signals and the extrinsic environment. We had previously reported that 5-aminoimidazole-4-carboxamide-1-beta-D-ribofuranoside (AICAR) directly induces astroglial differentiation of NSCs by activation of the Janus kinase (JAK)/Signal transducer and activator of transcription 3 (STAT3) pathway independently of AMP-activated protein kinase (AMPK). Here, we reported the observation that AICAR inhibited NSC proliferation and its underlying mechanism. Analysis of caspase activity and cell cycle showed that AICAR induced G1/G0 cell cycle arrest in NSCs, associated with decreased levels of poly(ADP-ribose) polymerase, phospho-retinoblastoma protein (Rb), and cyclin D but did not cause apoptosis. 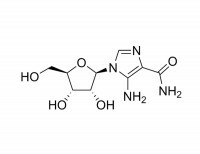 Iodotubericidin and Compound C, inhibitors of adenosine kinase and AMPK, respectively, or overexpression of a dominant-negative mutant of AMPK, but not JAK inhibitor, were able to reverse the anti-proliferative effect of AICAR. Glucose deprivation also activated the AMPK pathway, induced G0/G1 arrest, and suppressed the proliferation of NSCs, an effect associated with decreased levels of phospho-Rb and cyclin D protein. Furthermore, Compound C and overexpression of dominant-negative AMPK in C17.2 NSCs could block the glucose deprivation-mediated down-regulation of cyclin D and partially reverse the suppression of proliferation. These results suggest that AICAR and glucose deprivation might induce G1/G0 cell cycle arrest and suppress proliferation of NSCs via phospho-Rb and cyclin D down-regulation. AMPK, but not JAK/STAT3, activation is key for this inhibitory effect and may play an important role in the responses of NSCs to metabolic stresses such as glucose deprivation. AICAR activates the pluripotency transcriptional network in embryonic stem cells and induces KLF4 and KLF2 expression in fibroblasts. BACKGROUND Pluripotency, the property of a cell to differentiate into all cellular types of a given organism, is central to the development of stem cell-based therapies and regenerative medicine. Stem cell pluripotency is the result of the orchestrated activation of a complex transcriptional network characterized by the expression of a set of transcription factors including the master regulators of pluripotency Nanog and Oct4. Recently, it has been shown that pluripotency can be induced in somatic cells by viral-mediated expression of the transcription factors Oct3/4, Sox2, Klf4, and c-Myc. RESULTS Here we show that 5-Aminoimidazole-4-carboxamide-1-b-riboside (AICAR) is able to activate the molecular circuitry of pluripotency in mouse embryonic stem cells (mESC) and maintain Nanog and Oct4 expression in mESC exposed to the differentiating agent retinoic acid. We also show that AICAR is able to induce Klf4, Klf2 and Myc expression in both mESC and murine fibroblasts. CONCLUSION AICAR is able to activate the molecular circuitry of pluripotency in mESC and to induce the expression of several key regulators of pluripotency in somatic cells. 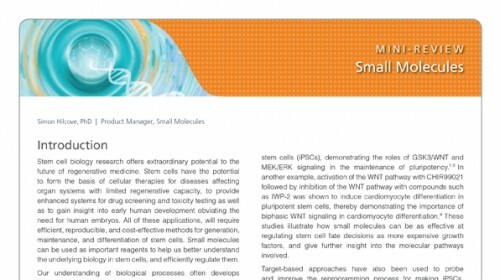 AICAR is therefore a useful pharmacological entity for studying small molecule mediated induction of pluripotency.